The mobile phone industry bursts into life in the spring, and March 2004 and 2009 were no exception with devices being announced from all sorts of different manufacturers. 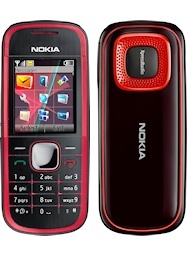 Featuring a design that was radical, innovative but basically unusable, the Nokia 7610 was a capable Symbian smartphone with a feature set that was impressive for the time, but Nokia went completely nuts with the design and gave the 7610 a very interesting but hard-to-use keypad and an assymetrical design that at least looked different from most of the competition. Motorola meanwhile were pursuing Linux as a smartphone platform with the Motorola E680 touchscreen device, they also launched the Motorola E398 music phone which resurfaced a year later as the infamous Motorola ROKR. Motorola were also an early pioneer of 3G devices, and the Motorola E1000 was one of only a very small number of 3G handsets available at the time. Featuring a flip-out screen and a big camera mounted in the side of the phone, the Panasonic X300 looked like a combination between a camcorder and a mobile, and with Panasonic's reputation for camcorders then you would be forgiven for thinking that this would be an impressive piece of kit. 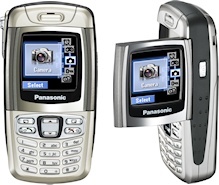 Instead it was just a design gimmick, the camcorder functions were awful, the phone had limited memory and it was extremely difficult to get the low quality videos off the phone, even if you wanted to. A long-forgotten form factor today, the rotating phone was a pretty rare sight even back in 2004. 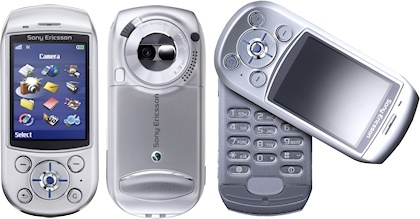 The Sony Ericsson S700 was one such attempt and it had a rich feature set for a phone of the time. In the end this type of phone never took off, but instead we were plagued with slider phones that did pretty much the same thing but in a more convenient package. Siemens phones had a unique naming system where the last two digits indicated when a device was announced, which gave us a trio of stylish "65" devices. 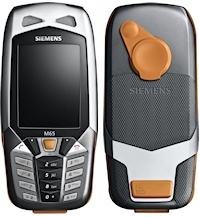 One key area where Siemens had a particular interest was ruggedised phones, and the Siemens M65 was a pleasingly chunky design that could withstand some pretty harsh conditions. 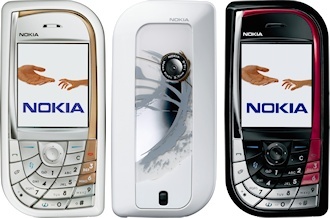 Aimed at consumers, the Siemens C65 managed to look fresher than its Nokia rivals, and the Siemens S65 challenged Nokia in the business handset market too. Germany had Siemens, and France had Sagem. 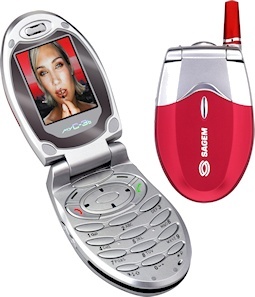 Know mostly for cheap and cheerful devices, the Sagem myC-3b was a competent and attractive "girlie" phone that helped to bring a bit more variety to the market. 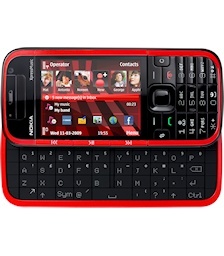 Nokia focussed on music with the Nokia 5730 XpressMusic smartphone with a slide-out QWERTY keyboard, the rather dull and ultimately cancelled Nokia 5330 XpressMusic and the rather inexpensive but fun Nokia 5030 XpressRadio. March was a big month for Samsung, with the launch of several devices. Our pick of these include the very rugged and completely waterproof Samsung B2100, which is one of our favourite phones of all time. 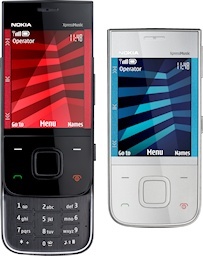 The Samsung C5212 DUOS was an early dual-SIM device aimed mostly at emerging markets. The Samsung S5230 and S5600 were a pair of low-cost touchscreen feature phones that simply couldn't deliver smartphone features although they did come with a smaller price tag. 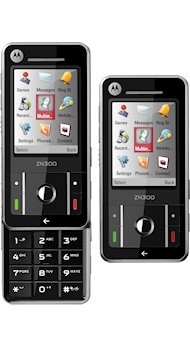 In 2009 Motorola was in the doldrums, and the Motorola ZN300 was a disappointing phone that didn't seem to do anything very well. 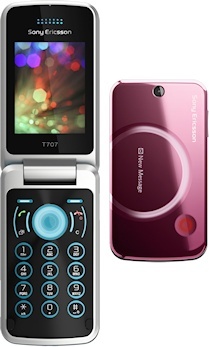 The elegant and glossy Sony Ericsson T707 showed just how attractive clamshell phones could be. If you were looking for something completely different, the Hyundai MB-910 wristwatch phone might make you feel a bit like James Bond.. alternatively if you have 007's budget then the exquisitely engineered but rather pointless TAG Heuer MERIDIIST might be more your thing.